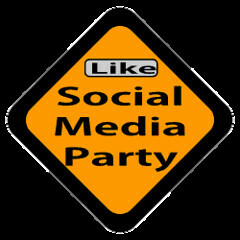 The Social Media Party (British division) aim to provide a free, democratic, liberal, and secure environment for UK citizens, with in a society that benefits all. We are here to build a fair community free of poverty (un-enslaved by negelect) and to safeguard the freedoms of an open society (unencumbered by the ignorance of conformity) where individuals have a right to dignity, and the liberty to develop their own skills/talents to their optimum. We aim to nurture creativity, foster diversity, and disperse power wherever possible. We believe in a state that allows individuals to take part in the decision-making process that affects their lives, to contribute fully to that society (and their own communities)to attain these ideals. United by a common belief in respect, equality, education, and social justice. We are a political party for a diverse group of political individuals (from across the political spectrum), united by the single goal of allowing The People (community) full powerand autonomy of laws, policies, and decision making. We want to bring people together, make a mark on the political agenda, by encouraging wide ranging discussions on issues that matter to all UK citizens. This is to achieve change,and to better the lives of the masses (in community and) in the United Kingdom. I just want to mention I am just beginner to blogs and really loved this blog site. Most likely I’m planning to bookmark your site . You really have really good article content. Thanks a bunch for revealing your website.